External Links: Bloody Disgusting’s 10/10 Review! With prom only hours away, the students of Cosa High (cheerleaders, geeks, bad boys and the happy-go-lucky student council alike) are preoccupied with the annual rituals of teendom. 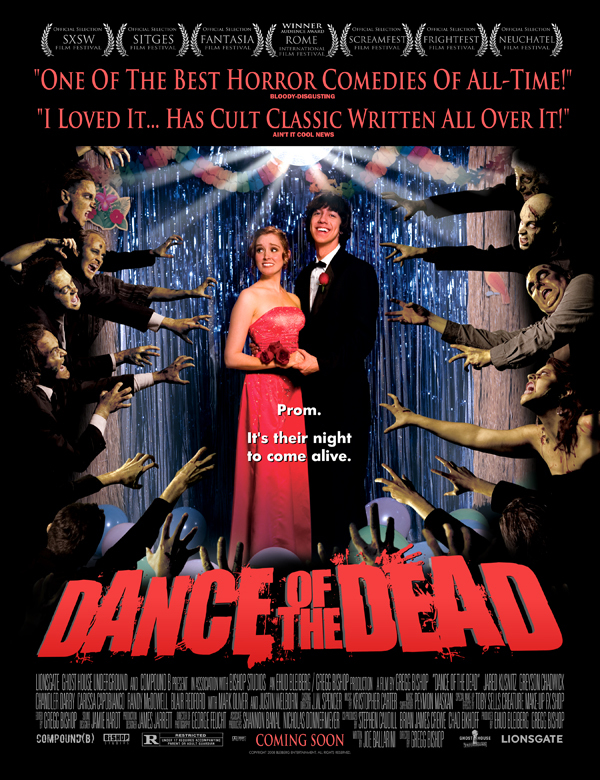 On the night of the big dance when the dead unexpectedly rise to eat the living, polar opposite groups will be to unite in their final chance to save the town from an onslaught of zombies.